It's the last week of May, which means it's almost summer! 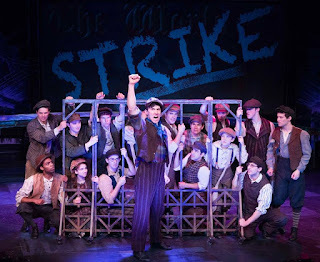 The Twin Cities Theater Bloggers would like to remind you of the fun and inspirational summer blockbuster musical playing at Chanhassen Dinner Theatres through September: NEWSIES! 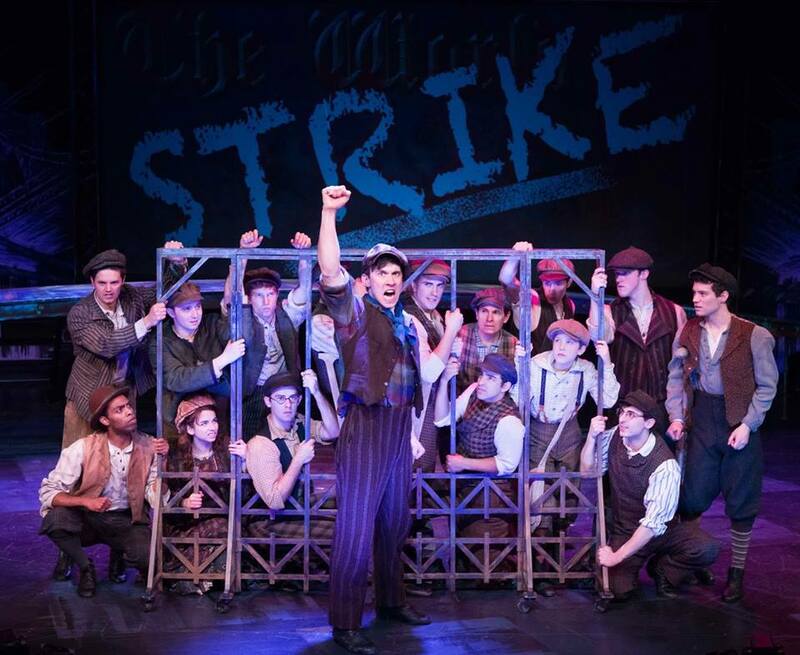 "Aleks Knezevich as Jack Kelly, the leader of the Newsies, is spectacular in the role. He can do it all, sing, dance, act, and charm the socks off of Katherine, and nearly everyone in the audience. He gives Jack heart, courage, compassion, and unfailing energy and devotion to the cause." "The overall message of the show is something many of us hold near and dear to our hearts right now: resistance. If we’re experiencing or witnessing injustices, more often people are taking a stand and pushing back. There is strength in numbers, and we can make a difference." "I can't think of a better way to kick off CDT's 50th anniversary season (yes, 50 years - such an incredible achievement!) than this beautifully rendered production." "This cast really threw down the gauntlet this summer for musicals across the Twin Cities. The choreography was single handily the best I have ever seen." "Children truly are our hope for the future, and Newsies celebrates that idea while providing a fun, entertaining, and inspirational show."